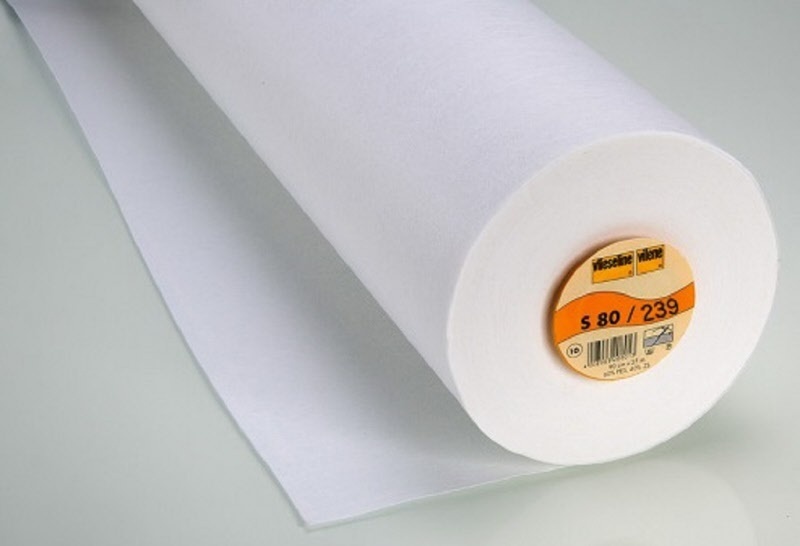 Vilene S80 is a firm interfacing which is ideally suited for creative works like postcards, collages, bags, etc. Machine wash 30 degrees permanent press. We use it in a lot of our projects to stiffen and give form to projects. The price is #5.00 per metre.